As for the Islamic day and night, the night enters before the day. So at sunset on Tuesday, Wednesday night comes in. 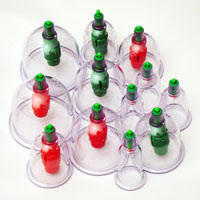 Cupping (hijama) is best performed during the daytime between the athaan of fajr and the athaan of maghrib because < i>yawm in arabic means daytime.